Home Health	Are You Getting Enough Protein? Many Americans watch their diets closely, trying to ensure that they get the right amount of nutrients. Those who are looking to lose weight often try to minimize their fat intake, while those who pursue alternative diets such as the ketogenic diet try to minimize their carbohydrate intake. But aside from bodybuilders, weightlifters, and other strength athletes, hardly any dieters pay much attention to their protein intake. So how do you know that you’re getting enough protein? Official recommendations for protein intake are 0.36 grams per pound of bodyweight. For a 160-pound man that would be 58 grams of protein per day, or 43 grams per day for a 120-pound woman. Athletes generally need more protein, with those serious about gaining muscle often consuming one gram per pound of bodyweight or more. For most Americans it isn’t a problem to get the minimum recommended protein intake, with the average 1/4-pound hamburger containing 20 grams of protein and the average chicken breast containing 54 grams of protein. But many older Americans have difficulty consuming enough protein. A recent analysis showed that 46 percent of older Americans were missing at least half of their daily recommended protein intake. As older people are already at risk of muscle loss, that is not a very encouraging statistic. Further, those with low protein intake also consumed fewer healthy foods overall, such as foods with vitally important vitamins and minerals. And when it came to markers of physical health and mobility, they scored markedly worse than those with adequate protein intake. With muscle loss being a severe problem as we age, it’s vitally important to keep protein intake adequate. 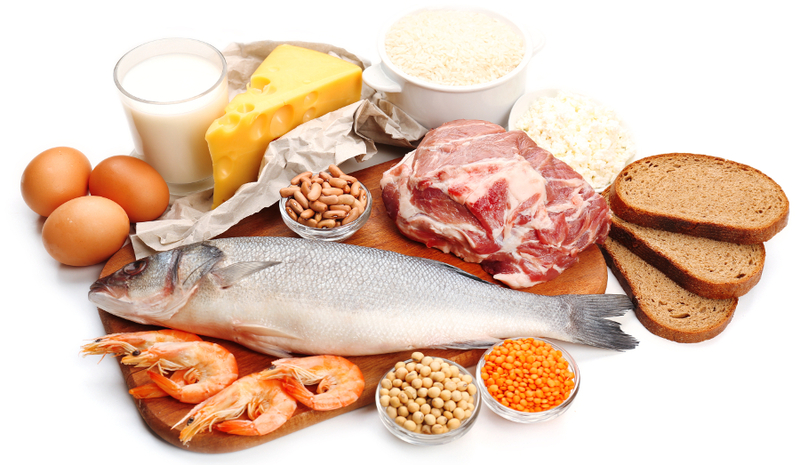 Getting the recommended intake of protein isn’t difficult either as long as you maintain a healthy diet. Meat, dairy, eggs, lentils, and beans are all good sources of protein. Eating a good balanced diet with 15-20 grams of protein at each meal can go a long way towards staying healthy and minimizing the effects of muscle loss. Could There Be an Alzheimer’s Vaccine?